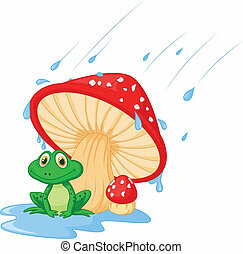 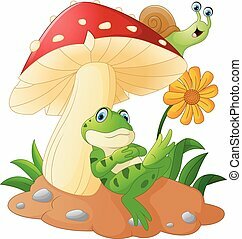 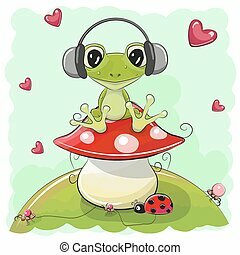 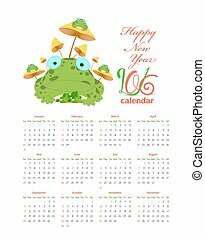 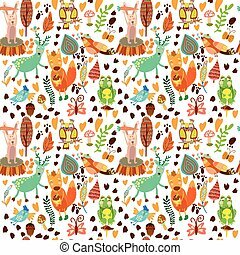 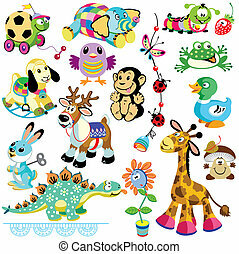 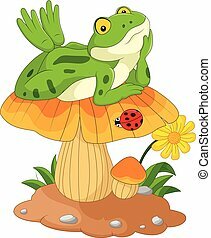 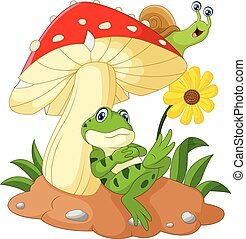 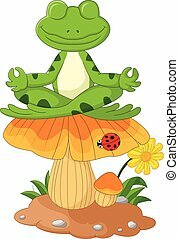 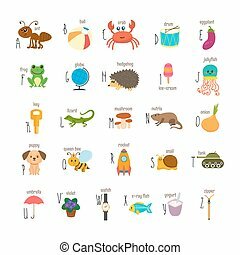 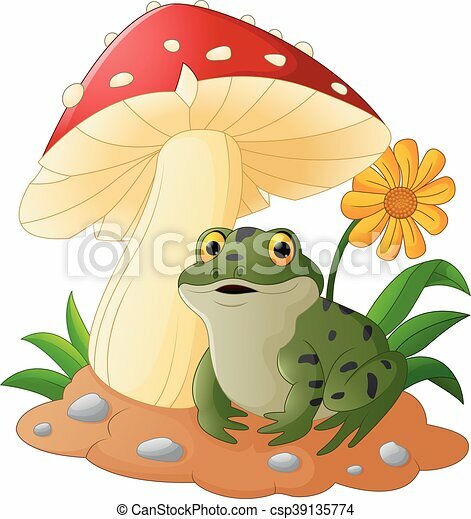 Vector of illustration cute frog with mushrooms. 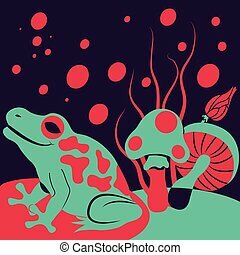 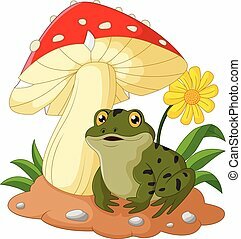 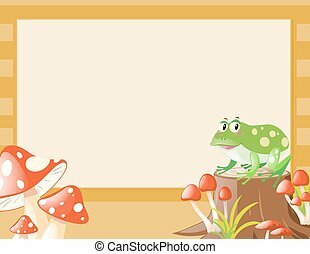 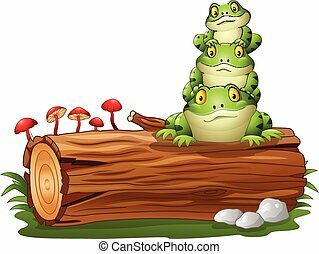 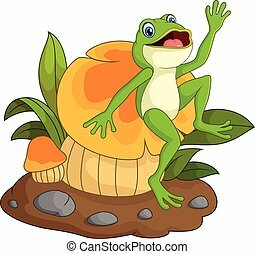 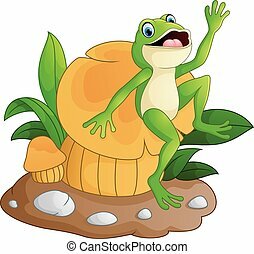 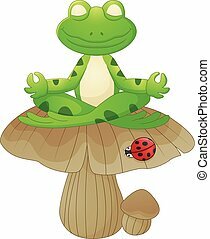 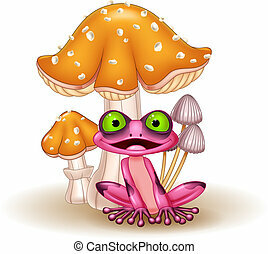 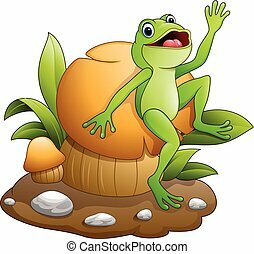 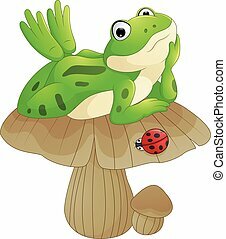 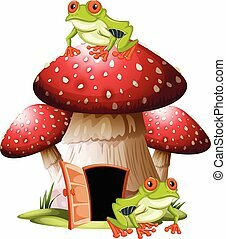 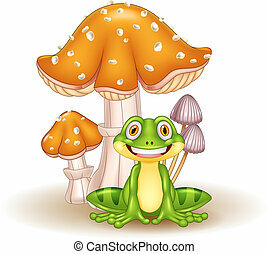 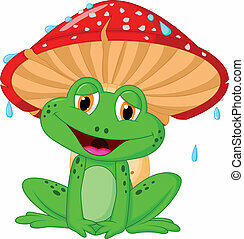 vector illustration of a frog with mushrooms deranged background. 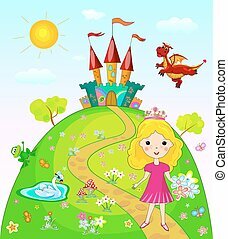 Little princess goes on a footpath. 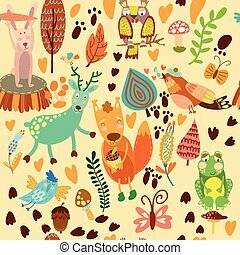 Landscape with the castle, trees and flowers. 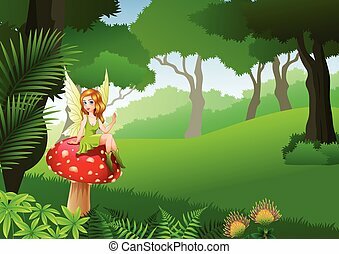 Fairy dragon, swan and frog.